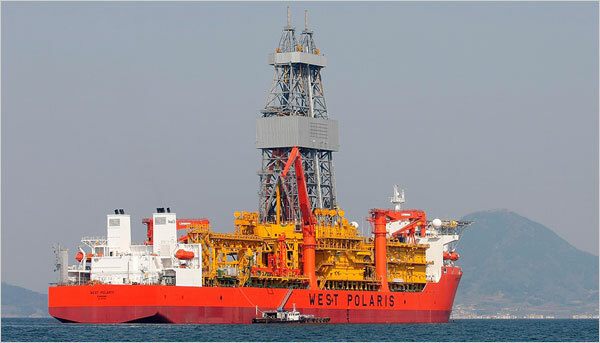 This is the straw that broke Obama’s back: The first photos of the offshore, deepwater drilling ship dipping into the same reservoirs the U.S. could be cultivating had it not been for the Democrat party that wants Americans to follow the Central European socialist model of $8 a gallon gas and long lines waiting for trains run by BIG BROTHER unionized employees. Get ready for the backlash from the middleclass against the green/global warming propaganda. Drudge Report will broadcast the photos this month. The Chinese/Cuban agreement is about to wake up the sleeping independents and Republicans. All those millions of dollars wasted by Hillary and Obama, too bad they weren’t invested in offshore drilling rigs. Meanwhile, millionaires are still being made in West Texas. Don’t believe it? Watch “Black Gold,” a new show on TruTV.com. It runs Wednesdays at 10 p.m. Eastern.